Play Final Fantasy 10 and Final Fantasy 10-2 as they land on Switch with HD remasters. The Final Fantasy 10/10-2 HD Remaster collection is coming to Xbox One and Nintendo Switch, bringing some of the most poignant entries in the series to both consoles for the first time. 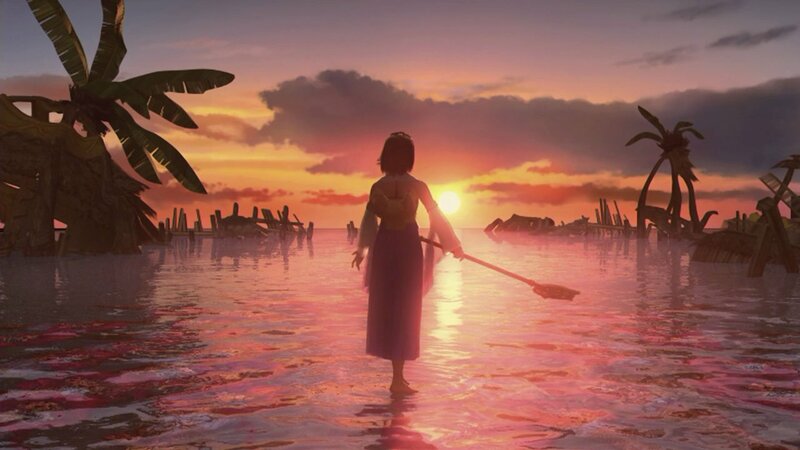 A new trailer brings the star-crossed lovers Tidus and Yuna together once more for an emotional clip that will have you scrambling to jump into the games again, years after their original debut. Final Fantasy 10 follows blitzball player Tidus as he embarks on a shy summoner named Yuna and a colorful cast of characters to save their home world of Spira from the menacing Sin, while Final Fantasy 10-2 is a marked change from Final Fantasy 10 that finds players returning to Spira two years after the ending of the past game. Yuna has been transformed into a Sphere Hunter who takes off on a journey with friends Rikku and Paine to find someone dear to her. Both games are remastered with gorgeous new takes on the classic games, so they'll look much more striking than you remember. With the remasters coming to additional consoles, this is a great time to finally try out the games if you missed them when they first debuted during the 2000s. Final Fantasy 10 is particularly interesting with its usage of the Sphere Grid, which lets characters unlock abilities based on a specific path. Final Fantasy 10-2, on the other hand, lets Yuna, Rikku, and Paine transform with "dresspheres" into different character classes with their own unique abilities, summons, and stats. Check out the trailer above and get ready to jump into some of the best, most memorable worlds Final Fantasy has seen (yes, including 7, 8, and 9). The collection, which first launched for PlayStation 3 and PS Vita back in December 2013, PlayStation 4 in May 2015, and PC in May 2016, is coming to Xbox One and Switch on April 16 in the west. It includes both Final Fantasy X and sequel Final Fantasy X-2 remastered in high-definition.